The transaction was negotiated by Jared Williams, Ari Spiro and Sean Stutzman of ORION Investment Real Estate based in Scottsdale. The buyer was MVV Retail I, LLC an affiliate of CIRE Management based in La Jolla, California and the seller, Monterey Vista Village Shopping Center, LLC, is based in Sandy, Utah. ORION Investment Real Estate announced the sale of Villa De Paz Plaza located 1.5 miles from the Loop 101 on 107th Avenue and Indian School Road. The plaza is located directly across from Fry’s Grocery Store and other major retailers. 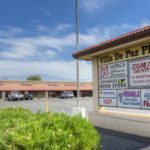 Villa De Paz Plaza is a 15,441 total square foot retail center with an additional developable PAD site. 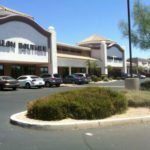 ORION Investment Real Estate announced the sale of Villa De Paz Plaza located 1.5 miles from the Loop 101 on 107th Avenue and Indian School Road. The transaction was negotiated by Derek Buescher and Andrew Harrison of ORION Investment Real Estate based in Scottsdale. 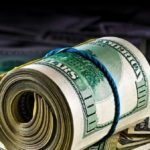 “In 2009, the seller purchased a highly distressed property from the bank, and then he injected the appropriate amount of capital into both the physical property and the community association. Today, The Hawthorne is a fully stabilized property that provides a very nice living environment for its community,” says ORION’s Joe Dietz. 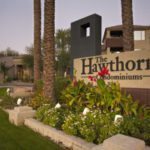 ORION Investment Real Estate is pleased to announce the successful sale of The Hawthorne condominiums located in the Midtown area of Phoenix, Arizona. The condominium complex consists of 276 total units, of which 182 were just sold for $19,110,000. ORION Investment Real Estate announces the sale of The Cornerstone adjacent to Arizona State University. The 117,351-square-foot center sold for $29 million to Cornerstone Retail, L.L.C., a commercial real estate entity affiliated with YAM Properties which was founded by Valley businessman and Go Daddy founder Bob Parsons. 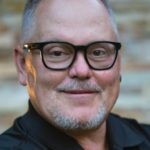 Billionaire GoDaddy founder Bob Parsons has bought a prominent Tempe shopping center for $28.6 million. 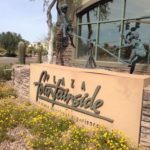 A real estate entity affiliated with Parsons’ YAM Properties bought The Cornerstone shopping center in Tempe. Ari Spiro, Sean Stutzman and Andrew Harrison of Orion Investment Real Estate brokered the deal. Nick Miner, vice president of ORION Investment Real Estate,was appointed to serve as a member of the Certified Commercial Investment Member Institute’s Executive Committee, which is as a governing body for the organization that works in conjunction with CCIM’s Board of Directors, national committees, and staff. 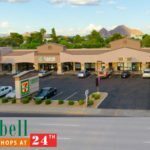 ORION Investment Real Estate announced the closing of the Campbell Shops at 24th Street located at 4517 North 24th Street in Phoenix for $2,300,000 ($263/SF) to Santa Fe Arms LLC, managed by Steve Olafson in Scottsdale, Ariz. The seller was Greenfield-Inverness, LLC based in Phoenix. “The buyer plans to redevelop the site into an apartment community and wanted to be close to the future light rail stations,” says Nick Miner, Vice President at ORION. CBRE Group Inc. brokers Barry Gabel and Chris Marchildronrepresented Cox. Nick Miner, a vice president Orion Investment Real Estate, represented Cardinal. “The buyer plans to redevelop the site into an apartment community and wanted to be close to the future light rail stations,” Miner said. Orion Investment Real Estate brokered the sale, said Ari Spiro. “This is the third time that we have sold Plaza Fountainside over the past 12 years,” he said. 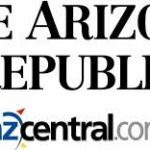 Ari Spiro, president of Orion Investment Real Estate, helped broker the deal and said the Scottsdale property eventually could be redeveloped into a hotel, retail complex or some kind of mixed-use project. 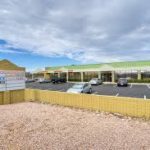 The website will occupy 20,000 square feet in the previously vacant Anasazi Office Building on East Guadalupe Road for a regional sales office, according to Orion Investment Real Estate and the company. “This was a great opportunity for both the landlord and Rep.com to expand into a property that had been vacant for a couple of years. 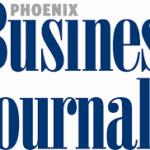 The City of Tempe benefits from a new regional sales office that will generate higher paying jobs as well,” says Nick Miner, CCIM, and Vice President at ORION. 7th Gate Center, a 43,426 square foot mixed-use project located at 1601 N. 7th Street in Phoenix, closed for $5 million. Braxton Glass, vice president of ORION Investment Real Estate in Scottsdale, facilitated the transaction purchased by Cole Valley Partners, a boutique commercial real estate investment firm based in San Francisco. “This is the second asset we have represented CCCP on purchasing from a lender this year” explains Andrew Harrison, Vice President at ORION. ORION Investment Real Estate is pleased to announce the closing of Greenfield University Plaza located at 4355 East University Drive in Mesa, Arizona for $2,275,000 ($111 per SF) to SAI Baba Investors, LLC.